A lit up Tsutenkaku Tower at Shinsekai in Osaka. 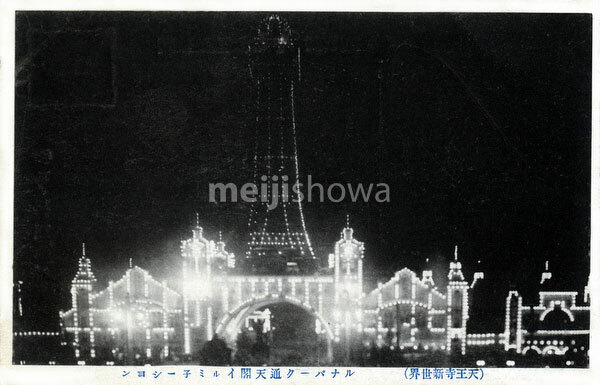 Inspired by the Eiffel Tower, the tower was built in 1912 at Shinsekai Luna Park. It was one of the most popular tourist attractions in Osaka. In 1943 the tower was dismantled, melted down and used for war material.